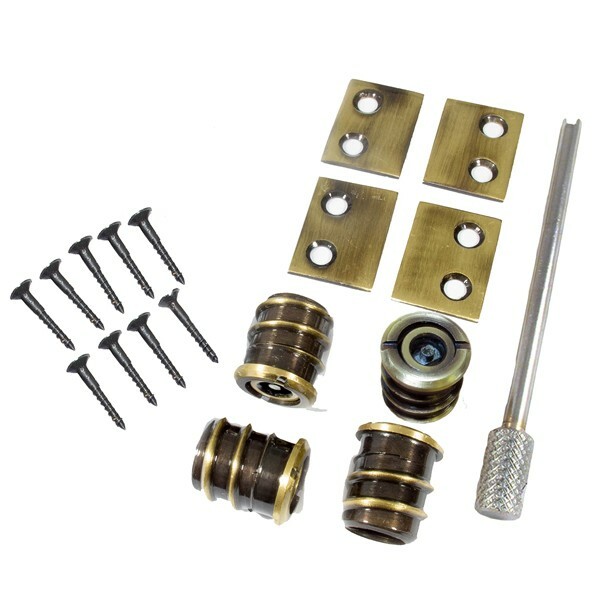 A pack of 4 15mm MiniLocks, Strike Plates, Key and Screws. The MiniLock was developed for home security & ventilation. The lock allows the sash to be left opened a few inches without compromising security or safety. Easy fitting. The lock projects 9mm when fully engaged. We elected to use these vent locks as they were small in depth as well as visible intrusion. We installed on the pulley stiles so that only the bottom sash was restricted, allowing full use of the top sash. Fitted to the side of the pulley cord, and looks good. A little difficult to screw in and keep straight, but they are all done now. Bit of a shame to have to use a tool to unlock, but the sprung options were all too deep for the thickness of timber.